The Dominican Republic was one of two international destinations I touched down in during my All You Can Jet adventure. While I did visit most of the Christopher Columbus attractions in Santo Domino, I quickly became bored with walking up and down the main pedestrian street trying to ignore men staring and making kissy noises. With three full days in the city I had more time than I needed, but still managed to miss most of the museums when they were open. I did make it to the Museo de Arte Moderno, about an hour walk from the tourist center, and was pleasantly surprised by what I found. 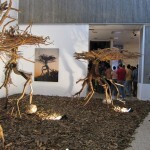 The museum focused on local artists as well as artists from the Caribbean, Central and South America. My travels have taken me to art museums all over the world but these areas of the world are so rarely represented in major museums that I was genuinely curious what I would find. 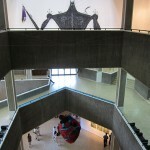 I enjoyed a lot of the art in this museum, including the two installation pieces in the videos below. Your eyes aren’t deceiving you, those are live birds! Much of the art was political or anti-tourism so standing there next to a group of local children I felt a bit like an intruder, despite never stepping foot on a resort beach. “Sobre El Tiempo” by Tania Candian from Megan Kearney on Vimeo. “En Tu Piel” by Miguelina Rivera from Megan Kearney on Vimeo. View more photos from my trip to The Dominican Republic in the gallery. Hi – I write the Frugal Traveler blog for the NY Times and am interested in talking to people about their JetBlue AYCJ experiences. Would love to talk to you…email me if you get a chance. Seth—an email is on its way. Anyone else looking to read about the last time me-go appeared in the paper can find my post here. It looks like The Daily Herald has taken down the article. Someday I’ll have to scan it so it doesn’t disappear forever. i love the sea of flip flops. very cool. 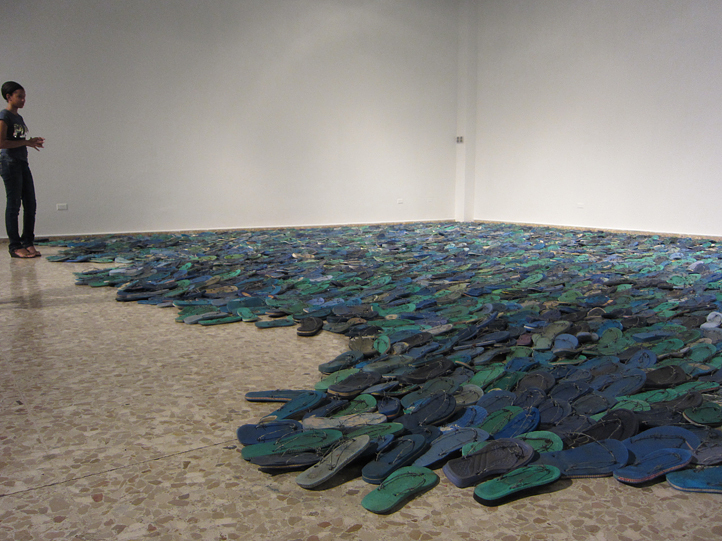 I’m not sure how the artist found so many blue and green flip flops. They all looked old and worn. Behind it were two video displays about resort/cruise ship tourists that made me feel pretty bad about being there. I loved your piece and was instantly drawn to it when I walked into the gallery. Great website!